The three Tandem towers located at 4118 Dawson Street, 4178 Dawson Street and 4182 Dawson Streetare constructed by Anthem Properties. 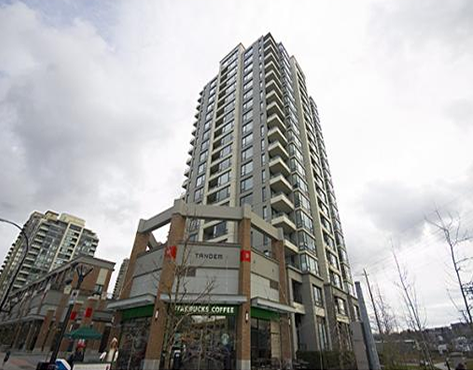 They are located right across the street from Gilmore SkyTrain Station. 4118 Dawson Street and 4178 Dawson Street are one Strata community of 317 units and 4182 Dawson Street is another Strata community of 180 units. Suites are designed with bright open living spaces and come with insuite laundry and an electric fireplace. Enjoy the amenities that include a gym, hot tub, lounge and much more. Conveniently located in Central Burnaby, you are only a short walk to Brentwood Town Centre and the Winners/Save-On-Foods shopping centre. Views from the suites include the North Shore mountains, downtown Vancouver, Metrotown, Mt. Baker and Burnaby Mountain. Tandem Living is also located a few blocks southwest of the Sales Centre for Burnabycondo.com and Royal LePage Coronation West Realty.